Information Security research papers trace the rise in the internet and technology in the classroom research. 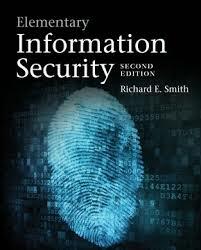 This Information Security term paper briefly reviews the growth of Internet use and the rise in information security and breaches of security that have accompanied it. In addition, it provides a general overview of information security, including Internet security, encryption, and use of certificates, concluding that as long as people are involved with processing information there will be a need for constantly improving the protection of such information. The past few decades have been called the Age of Information because of the growth of information technology, falling prices and increasing performance of computers, as well as the storage and dissemination of information going with the advances in computer technology. Although the Internet enables millions of people to conduct affairs on-line, it has also become a modem in which hackers can easily access information. Individuals, businesses, and even the government provide vital information via on-line communications, such as Social Security numbers, taxes, phone numbers, health records, and credit card numbers. Demand for Internet use for transmitting financial, business and other sensitive information has led to the need for a means to insure the security of that information. This paper discusses Internet security, information security, various types of encryption technology, with secure socket layers (SSL) as the most common type, and also authentication certificates issued by various certificate authorities (CAs), which operate to identify individual Internet users and servers. With the fall of Soviet communism and the end of the Cold War, threats of invasion quickly diminished. United States security measures involving the networking of extensive computer systems became unnecessary, so the U.S. provided public access to this networking, or Internet. During the early 1980s, before the advent information security, company networks were often at the mercy of any “unauthorized user who had obtained a valid password could get into any computer system –for profit or for fun—from anywhere in the country, revealing the need for Internet security. Between 1992 and 1996, there were an estimated 1.2 million Internet break-ins. Paper Masters writes custom research papers on Information Security and trace the rise in the internet and technology in the classroom research.